The UCI Law Korea Law Center welcomes Seoul National University President Nak-in Sung to discuss the recent proposals for constitutional reform in South Korea. For inquiries, please contact Erin at ehiebert@law.uci.edu. Nak-in Sung graduated from Université Paris II in 1987 as a Docteur en droit in Constitutional Law, and has served as the President of Seoul National University since July 2014. Previously, he served as the Associate Dean for Academic Affairs (2000-02) and Dean (2004-06) at Seoul National University School of Law. President Sung has held multiple teaching positions throughout his career, beginning at Yeungnam University (1980-99) before moving to Seoul National University (1999-present). 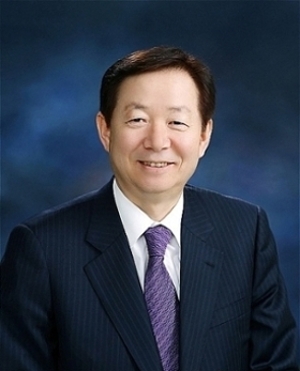 His public sector experiences include work as a committee member of the Press Arbitration Commission (1991-97), Residential Commission for Education Reform (1995-97), and Administrative Appeals Commission (1996-05); Counselor of the Constitutional Court of Korea (2005-11); Vice-Chairperson of the Parliamentary Advisory Committee for Constitutional Law Studies (2008-10); and Chief of the Policy Advisory Committee, Ministry of Unification (2009-12), Supreme Court Justice Candidates Recommendation Committee (2009-12), National Assembly Public Ethics Committee (2010-13), and Police Committee (2012-14). He has also held distinguished academic and research positions such as President of the Korean Public Law Association (2005-07) and Korea Law Professors Association (2009-13).